A total of fourteen expert dog trainers (including police dog trainers) were consulted to compile this list of the top ten best guard dog breeds. During their evaluation they considered not only a dog's temperament and physical strength, but its courage, loyalty, and resistance to pain. There are some dogs who possess all of these qualities but didn't make the list because of their small size. Chihuahuas, most breeds of Terriers, and Miniature Schnauzers are certainly brave, but unfortunately can easily be dealt with by an intruder. 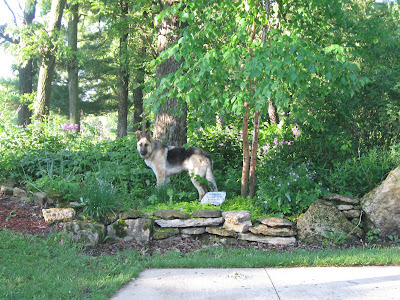 As you can see my precious South Woodland Flower garden is "guarded" by a top ten dog. 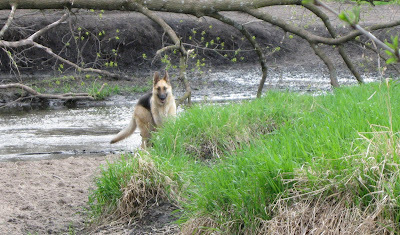 At #7 his breed (GSD) is known for their willingness, even eagerness, to put it all on the line to defend a few hepaticas. Upon a proper introduction though, Baron will be more than happy to show you around. We will need to stay on the path. It quite a maze in here. 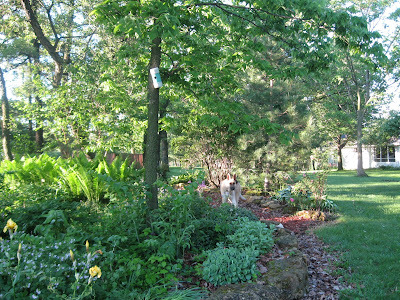 The South Garden has filled in quite nicely from the gooseberry patch of a few years ago. I built a wall with limestone rock to separate it from the turnaround parking area adjacent to the garage. 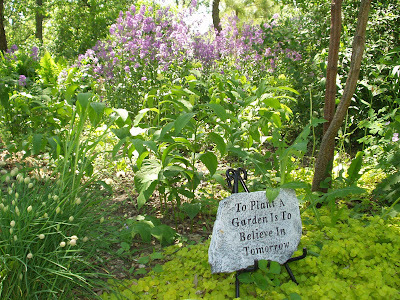 The rocks also delineates the pathway. 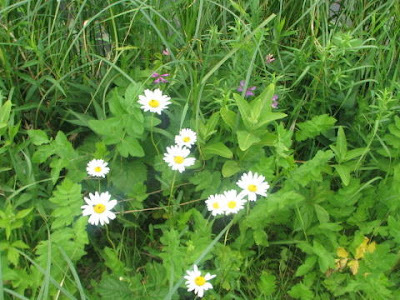 Many of the wildflowers were taken from the flower gardens on our old property next door. 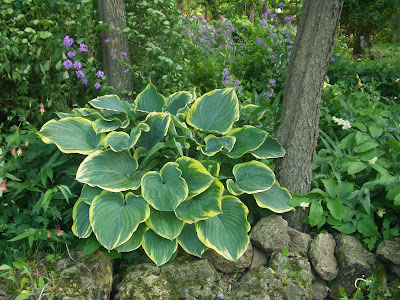 I love my hostas in the woods and keep adding more and dividing and replanting more. The more there are the fewer I remember their names. I tend to say things like "oh here's one that looks great in the dappled light." "Or this one's a Sagae, I think....maybe." Etc. 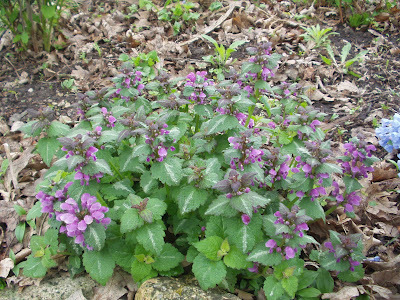 There are several kinds of lamium and some make great groundcovers. Yes, they can try to take over, but I wasn't a classroom teacher all those years for nothing. Thanks for the tour Baron. Good boy! The quickest way to the grandchildren in Colorado from Bluff Country is south on I-35 to Omaha and the west of on I-80 across Nebraska and eastern Colorado. After the umpteenth time on this route only two things can be said - BORING & HEAVY TRUCK TRAFFIC. Thus, we alternatively have tried other routes such as I-90 to the Black Hills and then kitty-cornering south west across Wyoming or other two-lane east-west highways across Nebraska. The later brought us to the famous and scenic sands hills of Nebraska and the small town of Valentine. 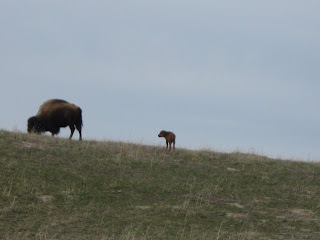 There we spent a night and also visited the Fort Niobrara National Wildlife refuge. 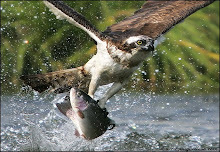 Are you a birdwatcher? If so there are more than 240 species of birds for you to see at this refuge. There are also elk, bison and deer. Just observing the wildlife that roam the area, is a wonderful opportunity to enjoy seeing nature at it’s most beautiful. 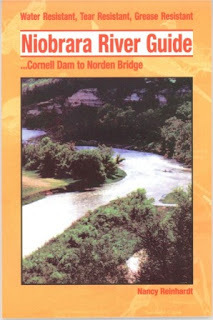 The river is one of countries top wild and scenic canoeing destinations. We had just a couple of hours before dark so we did the self guided auto tour.... all to ourselves. The auto route took us over and thru the dry sands hills. Here we saw scattered small herds of bison. Then came a real surprise. 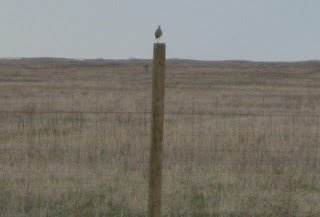 Coming over a small hill, I noticed some rather unusual birds perched atop the fenceposts that contained the bison. From a distance, it was hard to tell what they were, but one thing was clear ..... they had long legs. Shorebirds? In the middle of a dry prairie? Not too likely, I thought. Still, shorebirds are not something I see very often. They all scattered into the short grass as we approached in the car. I pursued on foot. 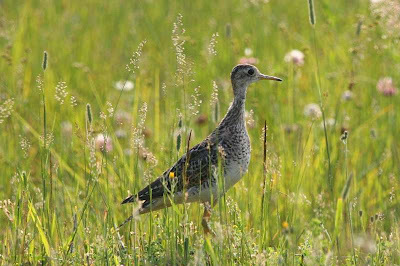 Well, to make a short story even shorter, the were upland sandpipers. A "lifer" for me! We are deep in the Minnesotian jungle. Lost! Fighting for survival. The plants tower above us. 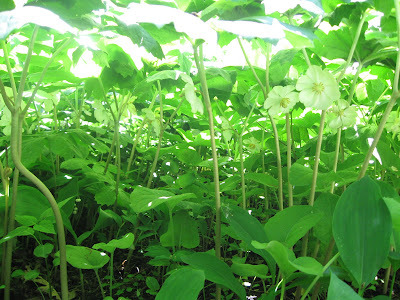 Huge white flowers peer down at us. WHAT ARE THEY???? Ok maybe its not the jungle but it sure looks like it from this angle. I hear a rescue helicopter approaching and I will provide an overhead view to make this a lot easier. 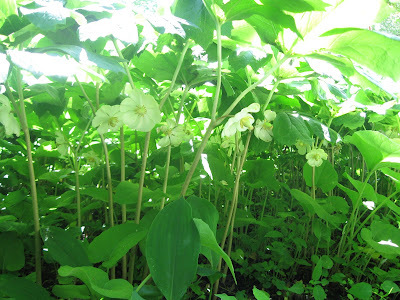 In the meantime, can you identify this jungle like plant? Give it a try! We have camped pretty much all over the country & Canada. This looks like our stay closer to home summer. There are three gorgeous State Parks less than a hours drive away. 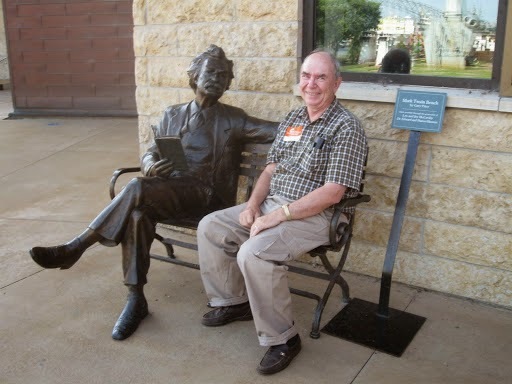 One of these is Myre-Big Island State Park near Albert Lea. This park has something for everyone. 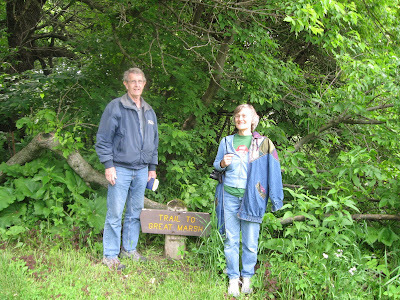 The trails take visitors around wet lowlands, oak savanna, and grasslands. Albert Lea Lake and park marshes draw hundreds of waterfowl during migration. 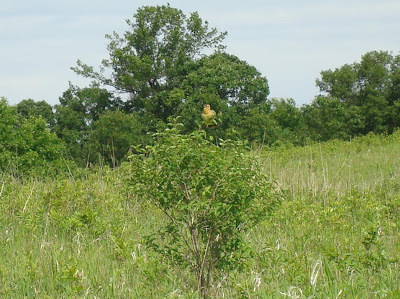 Oak savanna and prairie landscape, including wetlands, dominate most of the park. 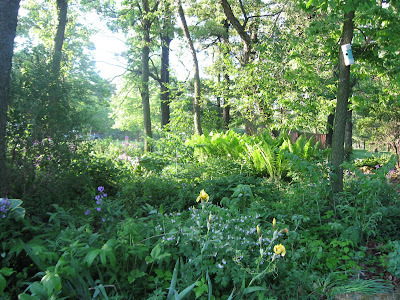 One of the more unique aspects of the park is the 116-acre Big Island that is covered with maple/basswood forest. 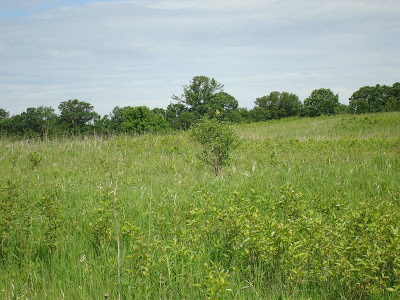 Another is the glacial esker located in the northeast section of the park. If you like camping, hiking, birding and walking the dog, this is the place for you. We joined our friends Gary and Rosie, to do all three. 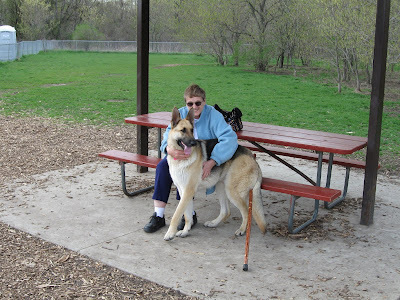 Mrs T had a bum knee which limited her hiking but she got some photography and reading done, Gary also did some photography and walked big bad Baron. Troutbirder mentored Rosie in her novice outing as a birder. In 2 days. Rosie identified around 30 birds, along with spotting numerous deer, ground hogs and other creatures. Birding highlights included an osprey, two green herons, lots of yellow warblers, redstarts, bobolinks, white pelicans, cormorants etc. 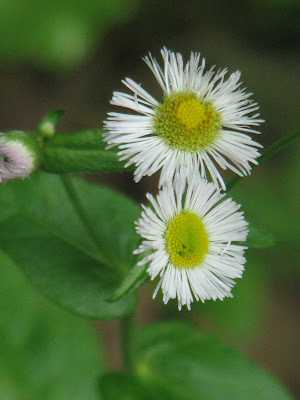 During our hikes many delicate wildflowers came into view. 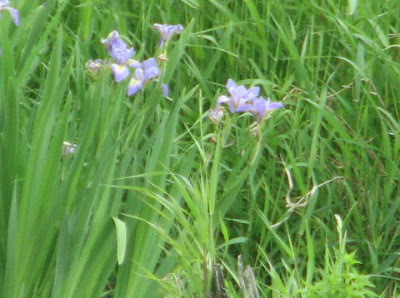 In a walk along the lakeshore we came upon some daylilies. 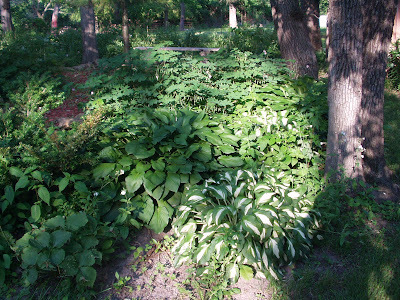 These plants are often a sign of an abandoned farmstead. 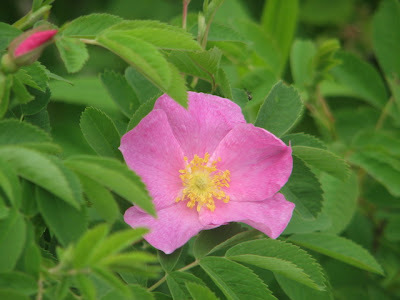 Shortly thereafter, what I thought were some old fashioned shrub roses appeared. Closer examination proved them to be otherwise. 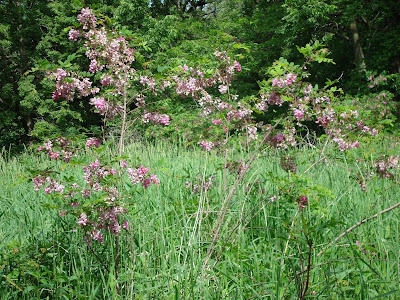 The pink flowers looked very pea-like. 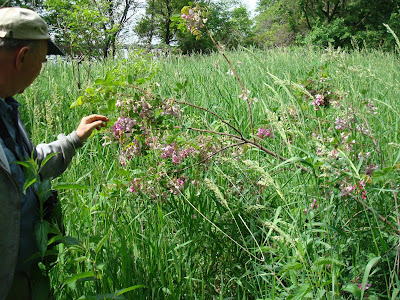 Some of these shrubs were at least twelve feet tall. 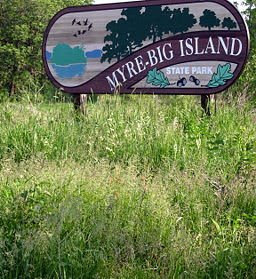 All in all, Myre-Big Island State Park proved to be a great spot to relax for a few days. And it didn't cost a fortune in gas to get there! "Maul of America." Oops..... I mean the Mall of America. That grossly overpriced, overcrowded, noisy, urban monument to rampant, plastic, artificial, American materialism. Of course, children of all ages love it. Why should they not? It's bred into their systems thru the miracle of modern advertising and social one upmanship. 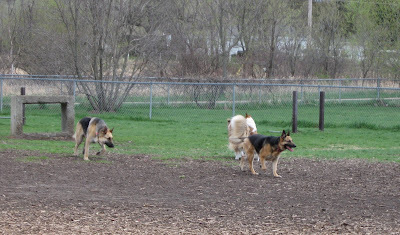 Which brings me to the Willow Creek dog park in Rochester. Really! When Mrs. T finds it necessary to spend some quality time at Apache Mall in Rochester, I take the opportunity (weather conditions permitting) to continue Barons socialization process. Being a naive unworldly country boy, (such as his master), the chance to improve his social graces is not to be passed over lightly. There are often canines of many persuasions in the area. 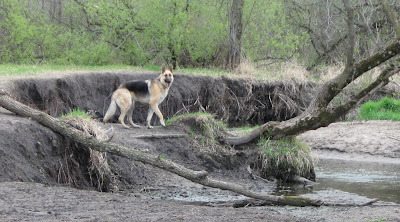 It is surrounded by a chain link fence, yet has access to a woods and a small stream, where one can romp and splash unfettered by the usual constraints. Yipee! Woof Woof It sure beats going to the Mall! Woof.